My mother identifies as both: Ecuadorian and Indigenous. 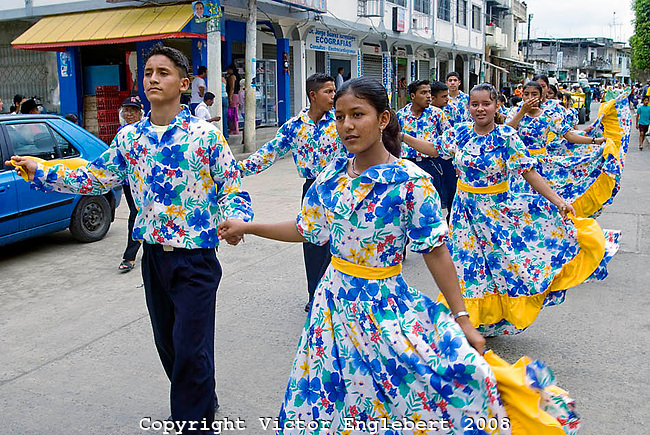 She is not ashamed of her Indigenous roots and she misses her home Playas, Ecuador. She would talk about Data de Villamil, her grandparents, the legends of Tin-Tin, La Dama Tapada, El Busque Fantasma, and El Ginete. Because of her, I remember these stories like the back of my hand and share them with my younger siblings and cousins in the past years. About a year ago, my mother encountered a special moment in her life. She worked at a local supermarket and talked to familiar customers day in and day out. However, on this particular day, she met a man who wore his hair in two braids and thought to herself, Well, this is the first. I have never seen this man all these year. As she scanned the items and made small talk, the man asked her a serious question. “Miss, where do you come from?” He asked. “I come from Ecuador,” she replied scanning the items. “And who are your people?” He asked again. “I come from many nations, some I don’t even know anymore. I’m a descendant of the Incas though,” she replied hoping he would recognize the name. Last week, my mother went to a parent workshop in my sister’s elementary school. As you may have heard, Latinos across the United States are identifying as Native Americans, African Americans, or Caucasian Americans instead of Hispanic or Latino. The latter is just a label that consolidates all Spanish-speaking nations into one category but does not accurately define an individual’s race. This parent workshop was just that. The instructor talked about the importance of identifying with a race instead of the label Hispanic/Latino. “Latinos are from La Roma. Hispanics are from La Espana. Unless you come from these places, then check the box. For the rest of us, we are mixed. Identify what YOU closely associate with.” She handed out the census sheets to everyone in the room. My mother filled hers as Native American, remembering the message the Cherokee man told her. However, she noticed the woman next to her was troubled by the new process. She was confused holding the pen for more than a minute. Her thoughts reflected on her eyes, as if asking herself why on earth was she limited to these three options when it was so much easier to check the Hispanic/Latino box. In the end, she put Caucasian and submitted her paper. My mother’s jaw dropped. This woman was brown like her, black hair like hers, and came from mixed-indigenous ancestry just like her. My mom was sad and upset, but she also understood not everybody was comfortable with their skin. It will take some time for mestizos and mulattos to realize that it’s okay to identify with Indigenous or African heritage. 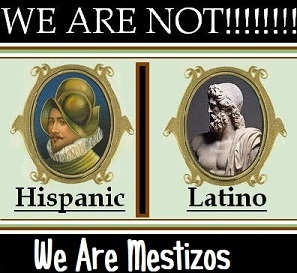 Just because mestizos speak Spanish does not mean they are Hispanic or Latino. Most of our culture, food, oral tradition, religion, and even ancestral land stayed the same for many generations. If we tell a North American mixed Indian that he or she is a Britannic simply because they speak English and wear Western clothes, they might feel offended, too. To sum it up, my mother said, “It’s as if I told you ‘I’m Spanish because I have this one blond hair strand on my head filled with black hair.” This is the today’s struggle. This entry was posted in October 2013 and tagged American Indian, Cherokee, e, Ecuador, Ecuadorian, Hispanic, indigenous, Latino, Mestizo, Montubio, Native American, Oral tradition, Santa Elena Peninsula. Bookmark the permalink.